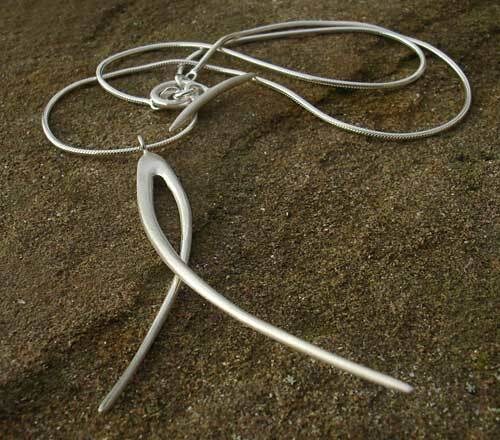 Handmade Silver Necklace For Women : LOVE2HAVE in the UK! 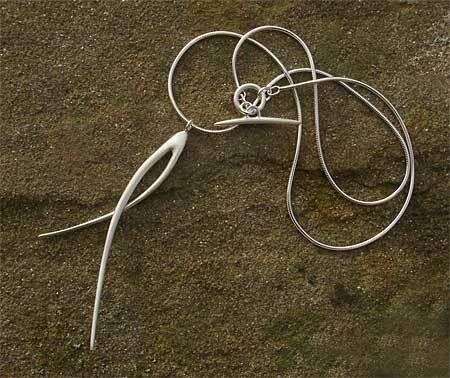 A handmade silver necklace for women that features two curved crossover prongs that each taper to a tip and measure approximately 70mm in height. The pendant comes threaded onto a silver snake chain that features a secure T-bar style fastener. The chain measures 16 inches in length, and the silver is a satin style matt finish. A lovely handmade piece of jewellery for women.